Todd McFarlane wants Keith David in his Spawn movie... but only for a little bit. The Stargate webseries has found its Catherine Langford. Sony wants to bring Settlers of Catan to the big screen. Plus, how the Purge TV show will create tension without being about the Purge, and a cryptic new Stranger Things teaser. Spoilers, away! 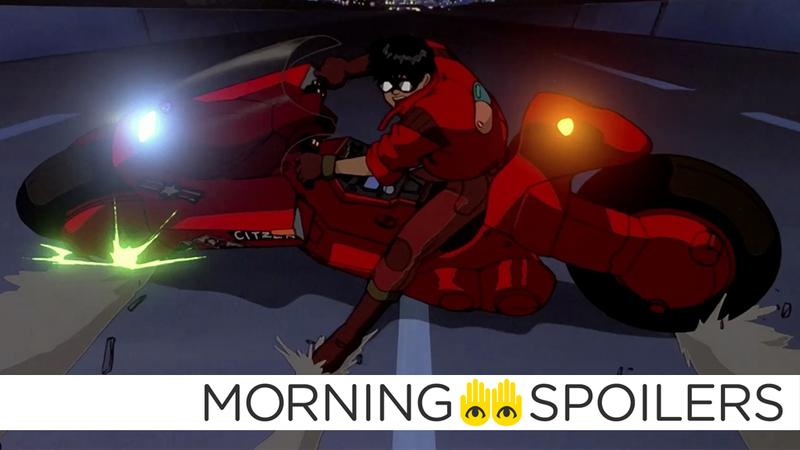 Taika Waititi spoke to IGN about the recent rumors surrounding his live-action adaptation of Akira. I am – that was more or less a rumor. There was, I mean, I was in talks to do that, for sure, and something that I was very passionate about – am passionate about…I actually love the books. Love the movie, but I would not do a remake of the movie. I would do an adaptation of the books…And, yeah, so anyway there’s been some chats [about him directing it]. Waititi also stated that if he did direct, he would be interested in casting unknowns in the roles of Kaneda, Tetsuo and company. Asian teenagers would be the way to do it for me and probably no, not, like no name, I mean sort of unfound, untapped talent. Yeah, I’d probably want to take it a bit back more towards the books. Todd McFarlane is hoping to cast Keith David, who voiced the character in HBO’s animated series, for “one line” in the film. McFarlane also states he holds the rights for a second Spawn animated series. I’m going to get the [Spawn] movie out and then we still have the rights for TV and animation and we’ll just figure it out. I’ve also got to figure out how to get Keith David in my movie, too. Just for one line. Sit down before you read this one, otherwise you might be bowled over with shock: Screen Rant reports the film has post-credits scenes. I know, in a Marvel movie! The site further stats that there are two, specifically, the growing normality for Marvel films: one directly tied into the events of the film, and another standalone one made just for fun. Somewhat belatedly (or perhaps, simply following Altantis time) Jason Momoa has declared it to be Aquaman week, and will be sharing Aquaman-related content for either the rest of the calendar week, or until the following Wednesday. To kick things off, here’s a splashy new motion poster of Arthur Curry, himself. We also have a new TV spot focusing on each member of the team. We’re working on kind of exploring what it’s like to live the rest of the year in a world where you can kill someone on a certain day of the year. It definitely makes you think twice if you’re driving and you give someone the finger or something like that. So we’re definitely thinking about different things that might happen in a society where killing was legal 12 hours a year. There are a lot of things that you don’t think about. You could commit a murder, and then somehow make it seem like it happened on Purge Night and get away with it. There are a lot of things that you can do with that idea, and we’re trying to think of all those different situations in that world. Motivated by a tragic event from his past, Jace throws all the power of the Sentinel Services into finding the Mutant Underground Way Station. Meanwhile, Blink’s vivid dreams lead her to confront Dreamer (guest star Elena Satine). With Professor Pyg (guest star Michael Cerveris) striking fear throughout Gotham, Gordon and Bullock head into the Narrows to look for clues. Bruce Wayne meets a former friend, Grace (guest star Samia Finnerty), who convinces him to come along for a night out with some old classmates. Meanwhile, Sofia’s relationships with Penguin and Gordon continue to evolve. As Tomas and Marcus continue to investigate the strange incidents at the foster home, the demon finally makes its presence known. The two priests must race against the clock to find evidence of possession before it is too late. Meanwhile, Andy and Rose take the children on an overnight camping trip, setting them on a collision course with the supernatural presence on the island. Back in Rome, Father Bennett’s uneasy partnership with Mouse takes a turn as disturbing new information about the conspiracy comes to light. Finally, Eleven reports from the Upside Down in a mysterious new teaser for season two.